Documents released by the Federal Communications Commission Friday show a new wireless mouse and keyboard from Apple, furthering reports of an imminent Mighty Mouse update. 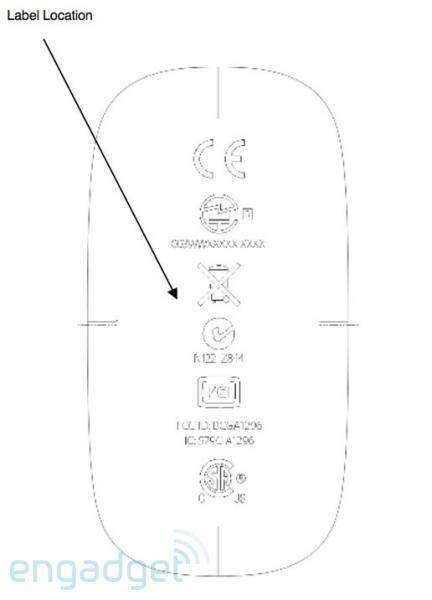 The documents, first discovered by Engadget, confirm a new keyboard with model number A1314 and model A1197 mouse. The included dimensions show a keyboard smaller than the one currently available from Apple. Earlier Friday, AppleInsider shared word that a newly designed Mighty Mouse is on the way. The new hardware, people familiar with the matter have said, will do away with the mechanical roller ball and use an expanded touch sensitive housing. Sources said the new Mighty Mouse is a project under the direction of Apple co-founder Steve Jobs. It will take advantage of the company's patented multi-touch technology and provide an intuitive new feel for users through a combination of hardware and software. Soon after the FCC posts were discovered, they were quickly pulled from the commission's Web site. The documents (1, 2) have seen been updated to crop out the hardware, and only display relevant FCC labeling and corresponding model numbers. Additional information on the new hardware was not made available from the FCC filings, though their submission would again suggest that a launch of the new hardware is imminent.